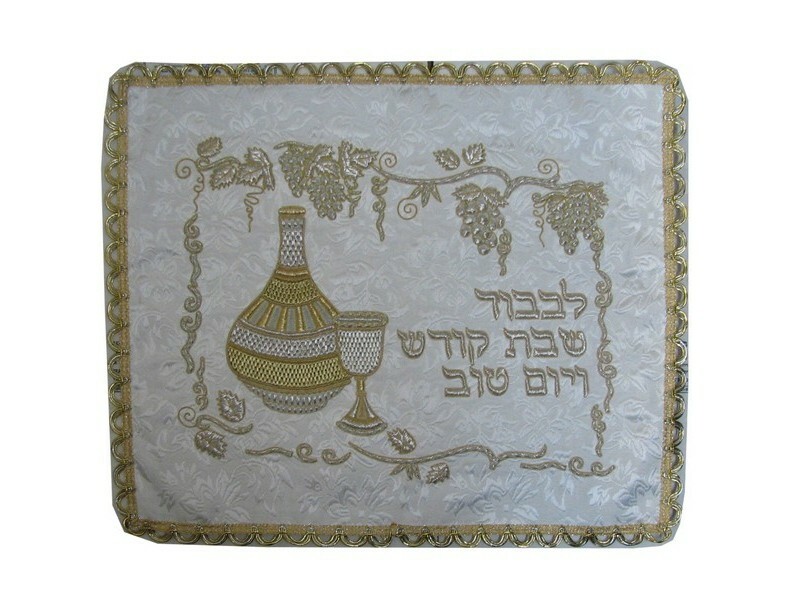 This challah cover, designed with silver and gold colored thread on elegant heavy brocade fabric, will be an instant centerpiece at any Shabbat table. With its eye-catching large wine decanter and matching Kiddush cup bordered with grapevines, its design is a classic. The Hebrew words “Likavod Shabbat V’Yom Tov”, which means “In honor of Shabbat and Yom Tov” are embroidered to the right of the design.